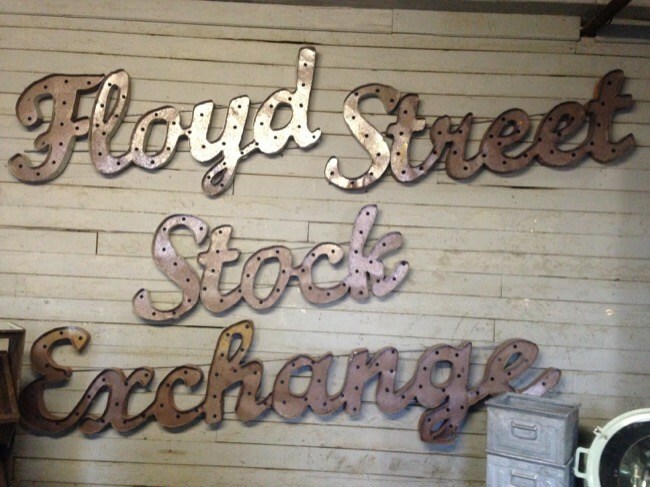 A few days ago, I posted a picture of two cool stools I recently picked up at an event called the Floyd Street Stock Exchange. I ended up writing a column about my experiences because there was a lot of bourbon — and bargains. You never know what you’ll find at this monthly auction, including rhinoceros-shaped furniture.